Albert Whitman & Company, 9780807536773, 32pp. Sara and her grandma are going to make a challah. What fun But Sara gets distracted, and a glass of orange juice and fifty-four extra packets of yeast accidentally get added to the ingredients. Oy veh While the two cooks are watching Grandma's favorite movie, The Blob, the challah dough grows and makes its way out into the street. Now it's taking over the neighborhood Grandma is worried, but Sara has an idea. She thinks there is a way they can clean up the dough and share the yummy challah with the whole neighborhood. 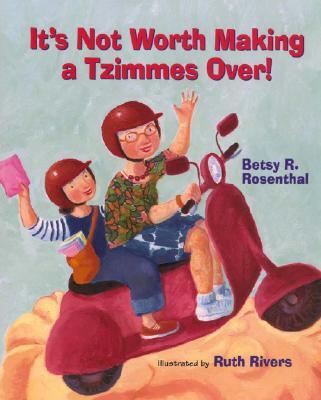 Besides, as Grandma always says, It's not worth making a tzimmes over.